Sign up and receive Property Email Alerts of Warehouses to let in Noordhoek, Bloemfontein. 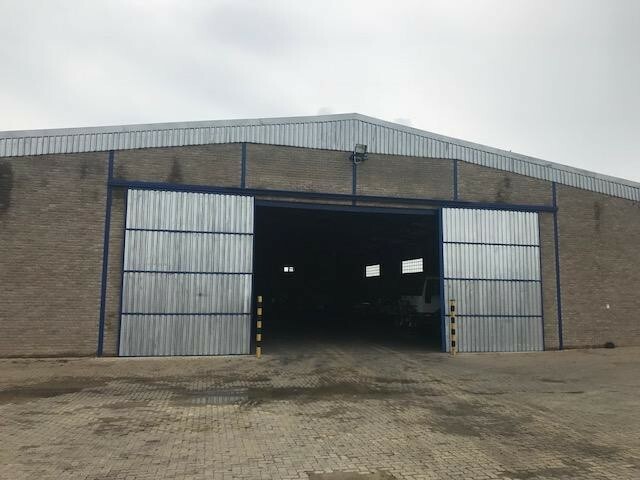 Well maintained neat double volume warehouse offers you a reception area, 2 offices and boardroom overlooking the warehouse. Bathroom facilities including shower facilities. 50sqm store room with roller shutter door. Located 2km from the N1 passing through Bloemfontein. Sufficient yard space and should additional space be needed, this can be negotiated. Perfect for a depot or should you require a link between long haul routes. Sign-up and receive Property Email Alerts of Warehouses to let in Noordhoek, Bloemfontein.